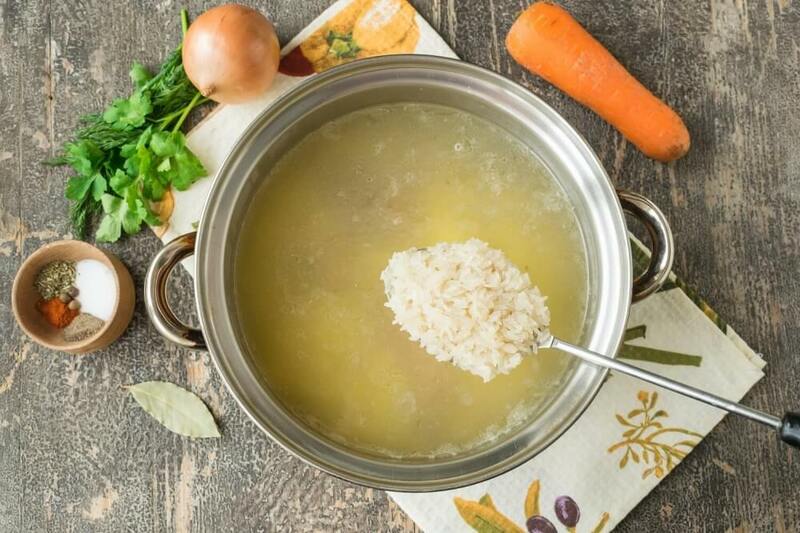 Rice soup is a classic of the culinary genre. 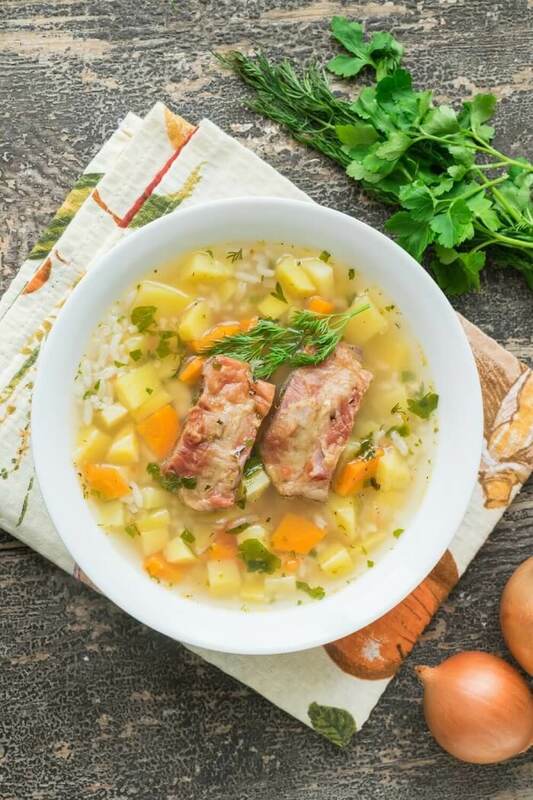 Although rice is not considered to be the main ingredient in the soup, it is impossible to imagine such popular dishes as rassolnik or kharcho without it. 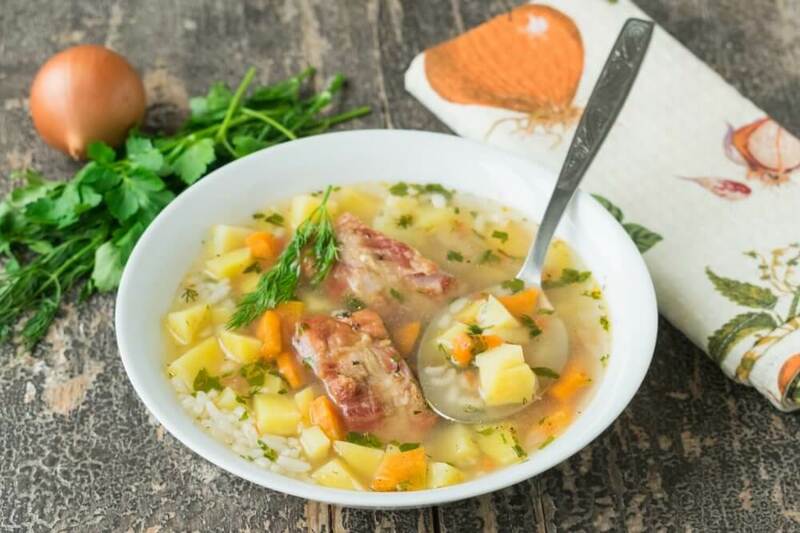 Today we will prepare a delicious and satisfying rice soup with vegetables and smoked ribs, which give the soup a special flavor. 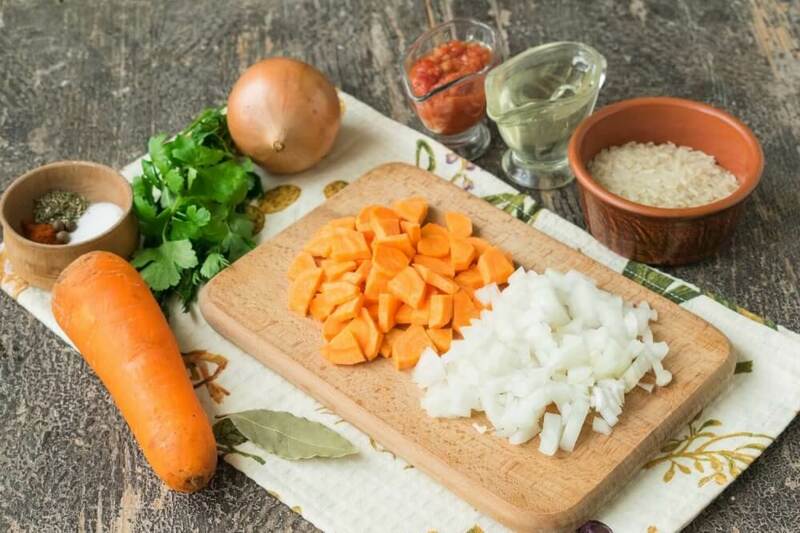 To make the soup even piquant, add a little bit of sharp adjika with garlic. 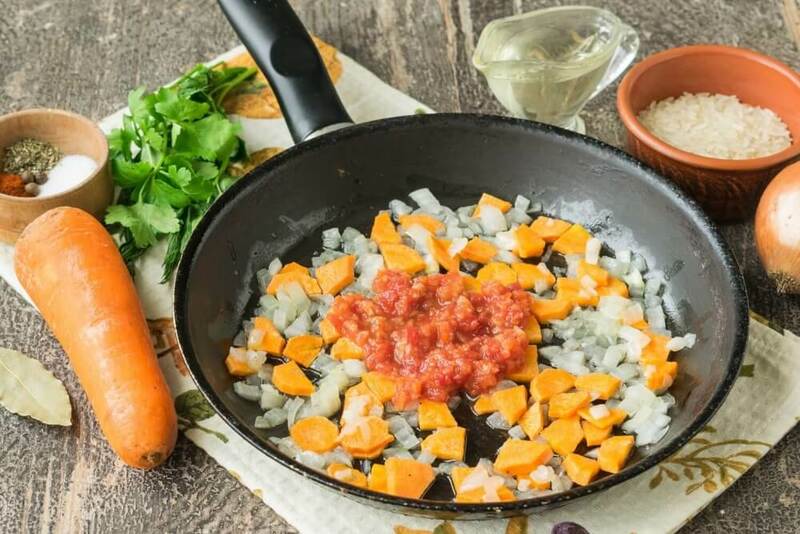 Be sure to try this recipe in your kitchen. I'm sure you'll want to cook it again and again. 1. 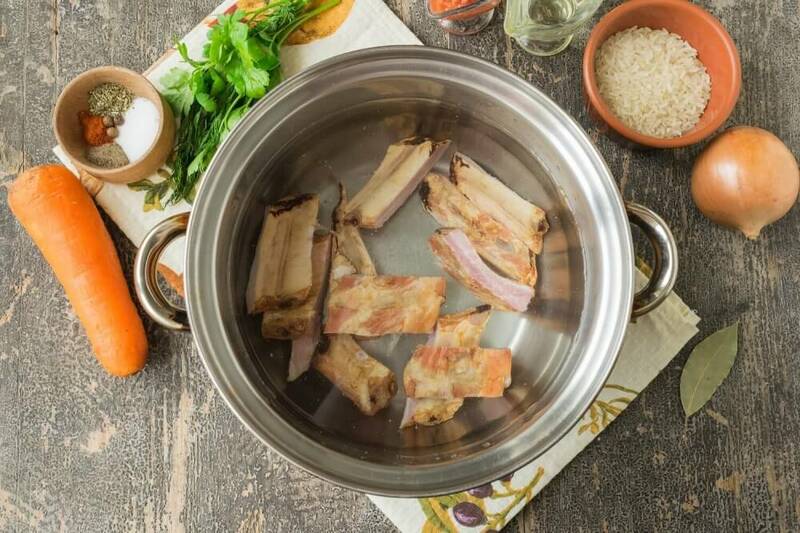 Wash smoked ribs, cut one by one and put into a saucepan. Pour the pork ribs with cold water and put it on the fire. Cook them for 20 minutes over low heat. 2. 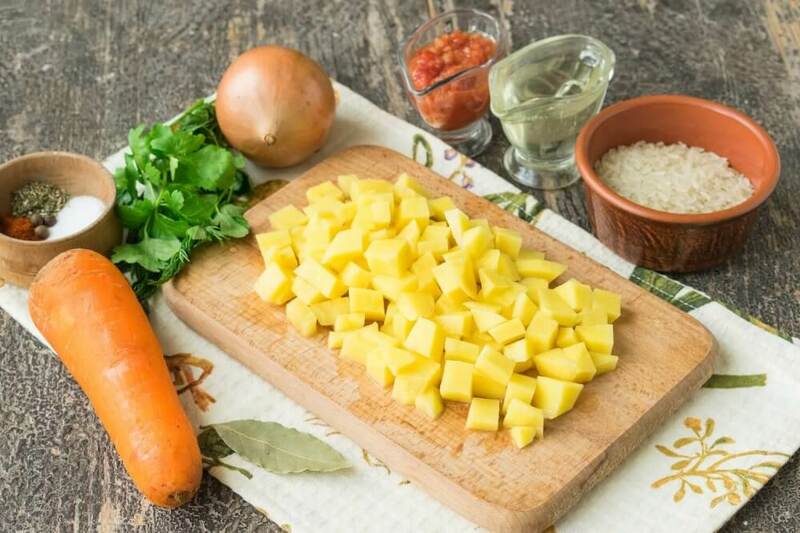 Wash potatoes, clean and cut into cubes. 3. Add the chopped tubers into a saucepan with ribs. 4. 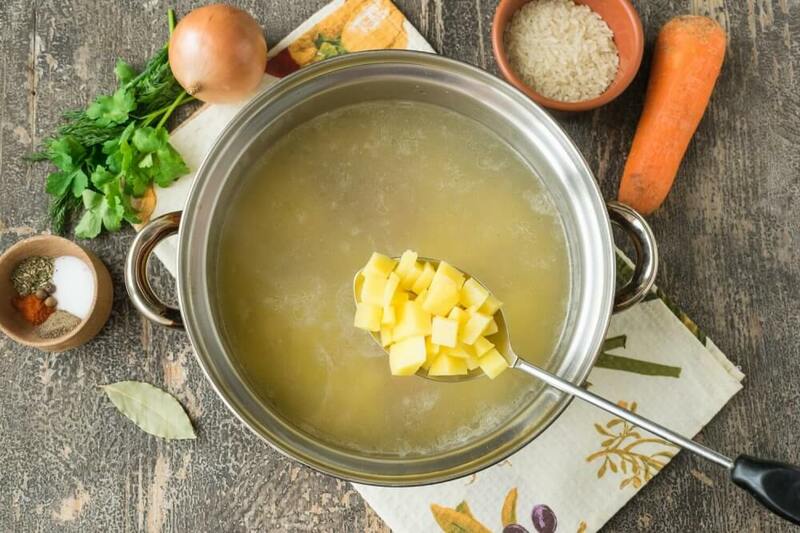 Rinse the rice carefully and add it to the soup next to the potatoes. 5. Clean the onion bulb and cut it in cubes. Cut peeled carrots into half rings. 6. 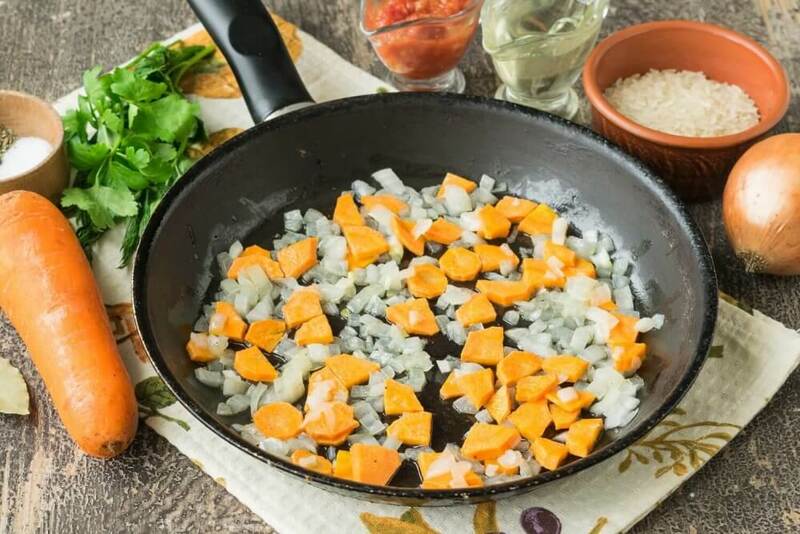 Fry vegetables until soft on sunflower oil. 7. Then add a sharp adjika with garlic. It will add a piquant note to the soup. 8. When the potatoes and rice are cooked and softened, add to them fried vegetables with adjika. 9. 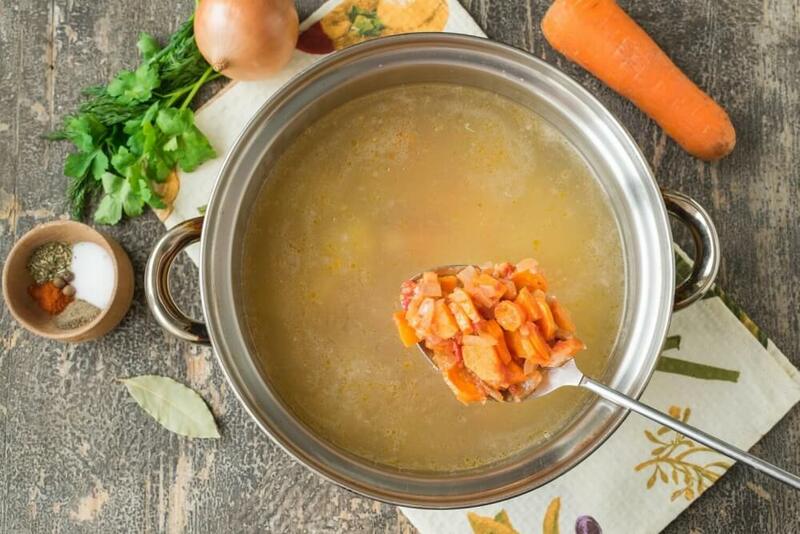 Stir the soup and continue cooking it for a few more minutes. 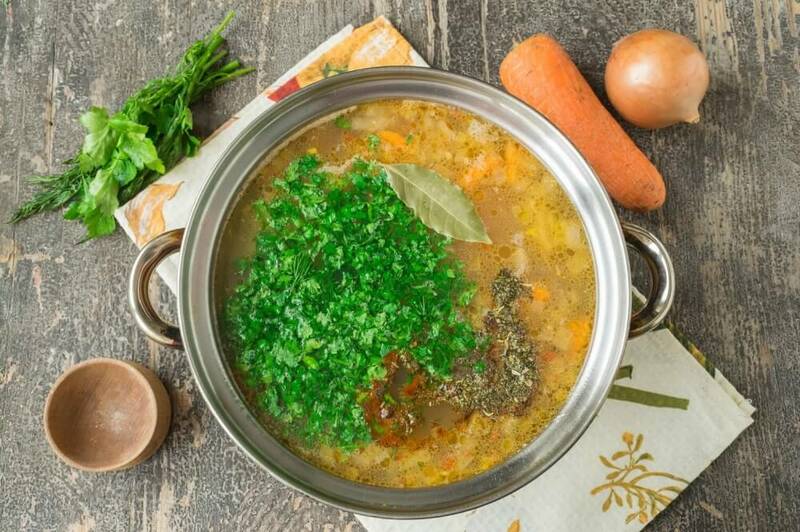 At this time, wash and finely chop fresh greens of dill and parsley. Add greens to the soup with salt and spices. 10. Mix the soup, cook it for another 1-2 minutes and turn off the fire. 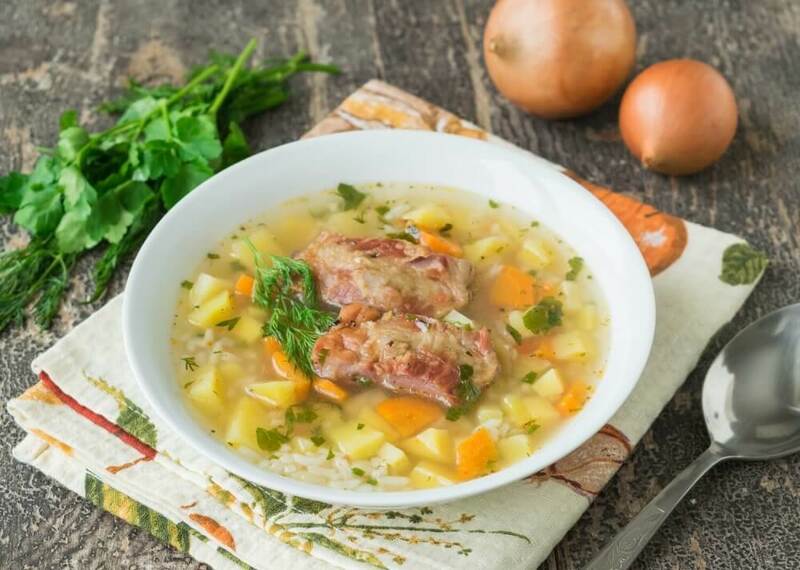 Serve rice soup with smoked ribs hot, sprinkled with fresh herbs.